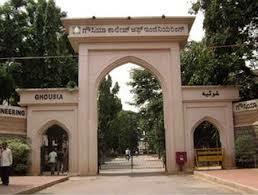 Godutai Engineering College for Women (GECW) was established in 2011 in the memory of Matoshree Godutai for paying deepest respects. 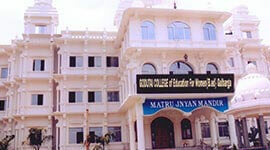 The college always strives to provide higher education of par excellence to empower the women. Our management always determined to serve to this purpose and to meet the vision of our President Parama Poojya Dr. Sharanabaswappa Appa. 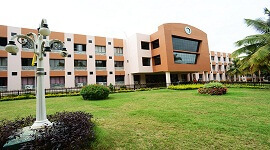 The college has been providing quality education in Computer Science, Electronics & Communication, Electrical & Electronics, and Information Science in UG and also PG. GECW offers continuous placement and training program within the campus to equip the students on communication and soft skills to build confidence during job interviews. Placement cell also conducts training and tests for reasoning, by experts in the respective fields. Regular career development programs are conducted through accomplished resource persons across a wide spectrum of industries. 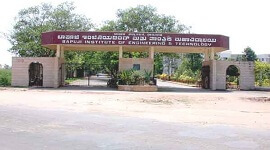 The college is offering Bachelor of engineering in 4 streams, 2 Master of engineering and MBA. All the classrooms are air conditioned and digital and conventional libraries with climate control. Our college appoints highly skilled and qualified faculty members, who are also trained under reputed universities like IISc, IITs & IIMs. GECW invites top academicians and professional to deliver guest lectures, most of them are drawn from IISc, IITs,IIMs & even abroad guests. The college is equipped with EDUSAT, education through satellite to provide updates and students can also have the benefit of accessing world scholars' on line lectures. The Placement and Training department provides basic and advanced soft skills in personality development and spoken English to the students. Daily assignments will be provided after the classroom lectures along with dedicated time for clearing doubts. 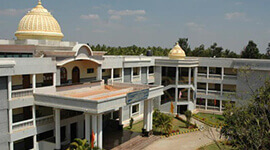 College organizes extra and co-curricular activities. Dress code is made mandatory for both the students and staff during all the working days. The GECW offers hostel accommodation, which is equipped with all necessary facilities like medical room, common room, audio visual hall, and dining hall. GECW believes providing security to the inmates living within the campus is the highest priority. 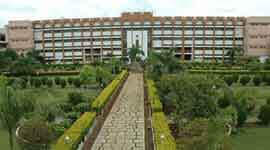 To extend the security, staff quarters are built just opposite to the hostel. GECW expects proper discipline from the students in the hostel. 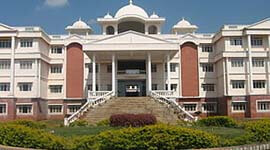 The college encourages the student to apply for various scholarships from state and central governments. Many of the students have already availed the scholarship from directorate of defence rehabilitation and welfare. Air conditioned and climate controlled classrooms and auditorium. Advanced library with 25,000 volumes and around 140 national and international journals. High-end security is provided in this women's college. 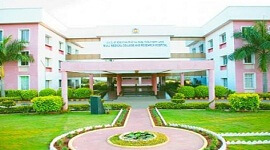 Majority of the faculty members are IIT, IIM and other reputed universities. EDUSAT is facilitated to provide the best of knowledge to all the students. Active Placement Cell to provide excellent training to the final year students and also takes care of soft skill and communication skill training. Hassel-free transport facility with security. The department of Training and Placement cell provides the best support base for placement of Final year students in the form of on-campus and off-campus interviews. 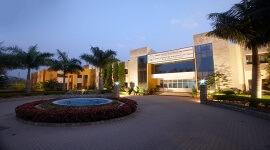 The institute has a seminar hall for pre-placement talks and also rooms for conducting mock interviews. The Placement Office is fully computerized and it uses desktop computer and Departmental Internet facility for placement data handling and communication. The Core Committee is formed by the staff members of the Placement cell and also student representatives of various disciplines. As per the requirements prescribed by companies, all eligible students are invited for appearing for the interview process conducted by the visiting companies. Over 100 students have been recruited by reputed companies like HCL, MPhasis, Aress Technologies, and many more during the last academic year. Air conditioned library with 250 seating capacity. Over 25,000 books volumes and 140 national and international journals in the library along with digital library. First engineering college to provide climate control air conditioned classrooms in the entire state. Beautifully constructed classrooms and auditorium. Well-qualified staff members to take care of individual students, particularly slow learners.